Across the city, politicians, transit operators, and Toronto residents wore sports jerseys to honour and support the victims of the Humboldt Broncos bus crash. The idea behind #JerseysForHumboldt came from two hockey moms in British Columbia. They wanted to let people in Humboldt know that they are not alone, and that people in B.C. were thinking of them. Tory wore a Maple Leafs jersey to his official meetings Thursday, tweeting out a photo of himself with the hashtag #JerseysForHumboldt. 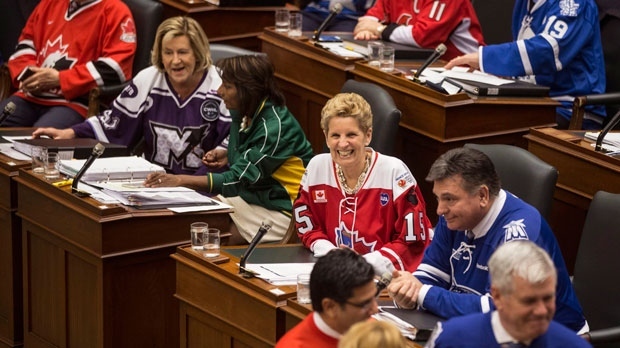 The Toronto Transit Commission (TTC) permitted all employees to participate in Jersey Day. Uniformed supervisors, special constables, and fare inspectors showed support by wearing a green ribbon on their uniforms. Brad Bross, executive director of corporate and customer communications, tweeted out a photo of the TTC head office decked out in their favourite sports’ attire. Metrolinx staff made an original green ribbon for their staff to wear. The agency printed the popular #JerseysForHumboldt hashtag on one side of the ribbon and the Metrolinx logo on the other. Residents across the GTA also took part in Jersey Day, tweeting their photos.